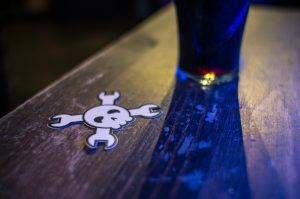 We are excited to host Hackaday & Tindie Bring-a-Hack Meetup on Friday 6th of April from 7pm . Our doors will be open for people to drop by and show off a hack or a make. There will be snacks and beverage courtesy of the Hackaday & Tindie team. The event is free but ticketed. Sign up here. If you want to turn your whole weekend into hanging around with hacker and makers, you might like the Hackaday Dublin Unconference on Saturday 7th. You can find out more about it here. This was written by tdr. Posted on Friday, March 30, 2018, at 4:16 pm. Filed under Social Night, Space, Workshops/Events. Bookmark the permalink. Follow comments here with the RSS feed. Post a comment or leave a trackback.